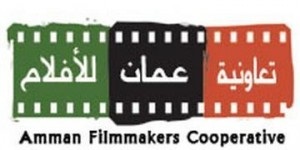 Founded in 2002 by Hazim Bitar as a cine club, the Amman Filmmakers Cooperative promotes independent Jordanian and Palestinian Diaspora filmmaking through training, experimentation, film production, distribution, and networking. Since 2003, Cooperative graduates, directors completed over 50 short films. Cooperative graduates boast the highest film festival selection rates in the history of Jordanian cinema. Many of those films have been selected to Academy-Certified film festivals such as the Clermont-Ferrand International Short Film Festival, France; Huesca International Film Festival, Spain; Tampere International Short Film Festival, Finland; Seagate-Foyle International Film Festival, Northern Ireland; Locarno International Film Festival, Switzerland; and a host of other regional film festivals such as the Middle East International Film Festival, Dubai International Film Festival, UAE; Ismailia Film Festival, Egypt; Tangier Film Festival, Morocco; Carthage Film Festival, Tunisia; Dubai Film Festival, UAE.